We’re smack in the middle of November, and you know what that means…Thanksgiving is just around the corner! I’m so ready to get to hosting and celebrating with friends and family. But if we’re being totally honest, my absolute favorite part about the holidays is all the amazing food. ;) I mean, who doesn’t love a good pumpkin pie and apple cider?! That’s why I’m SO excited to show you this festive project we’ve been cooking up. It combines all of the best foods of Fall! “With the holidays right around the corner, we thought it would be fun to have a fall charcuterie party. Now, in true BFFF fashion, this isn’t just your typical fall charcuterie board. 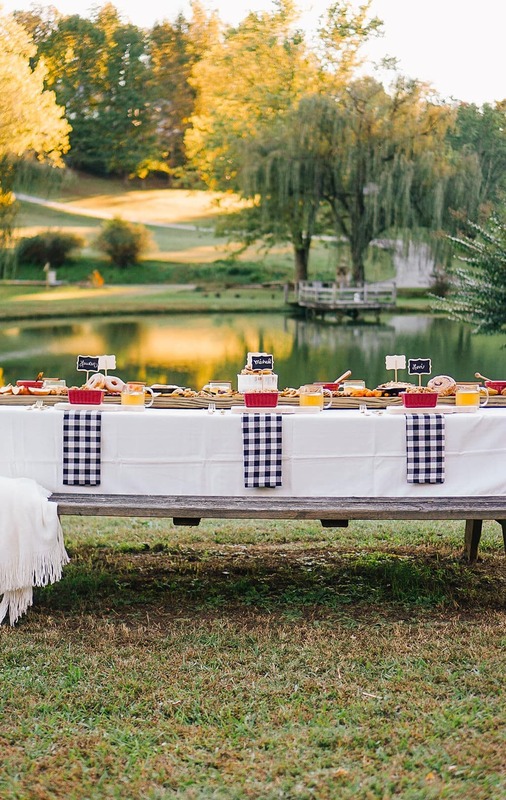 This is a fall DESSERT charcuterie party for the ages! 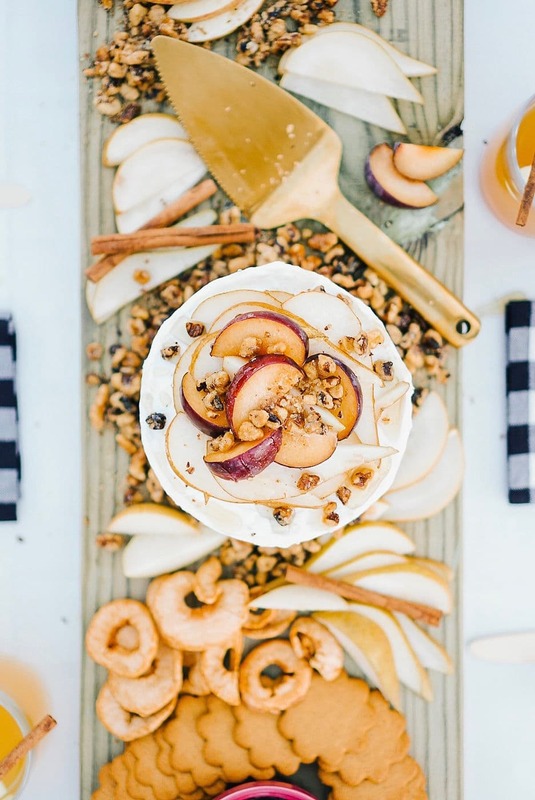 Yes, you read that right…fall desserts, in every form and fashion. 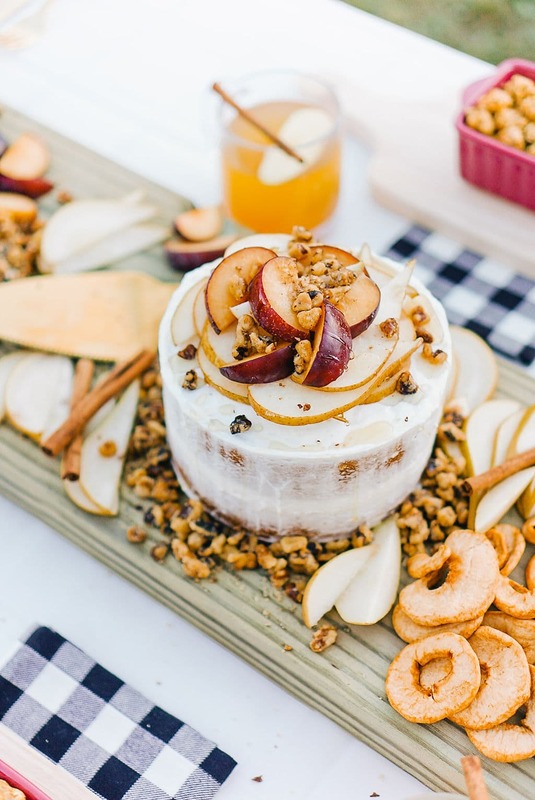 From candy corn to apple pie, this dessert charcuterie party has something everyone will love! 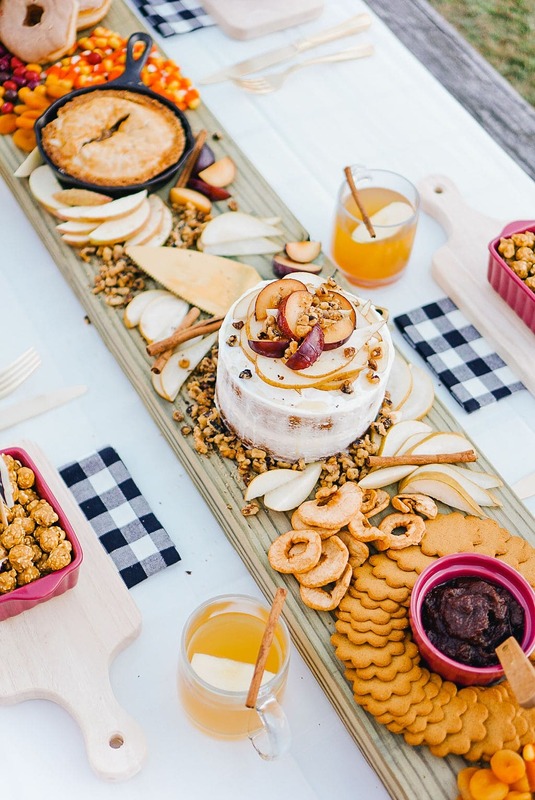 To create this fall dessert charcuterie, start by measuring the length of the table that will be used as your board. We used an eight-foot long piece of wood purchased from Lowe’s to create this extra long charcuterie board. My family was giddy with excitement when they saw the fun and unique board filled with sweets, stretching the full length of the table! 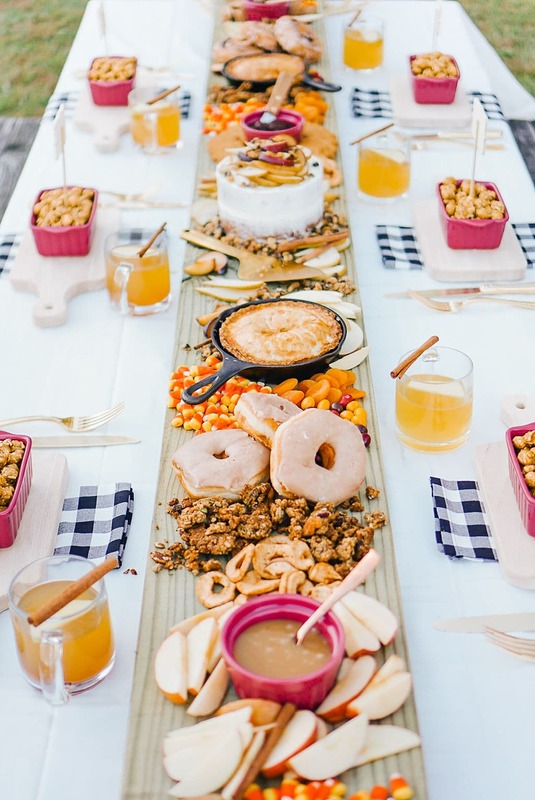 Quick hostess tip: Be sure to clean the wooden board really well before placing any food directly on it! 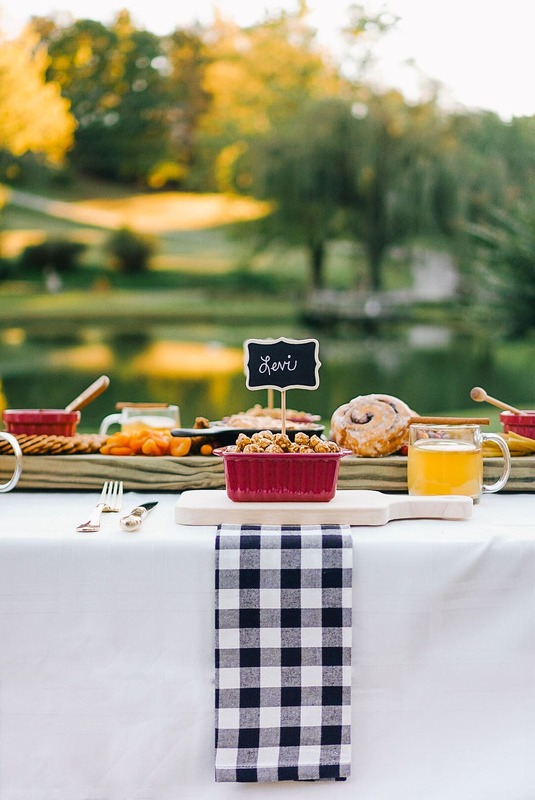 Once you have your board, it’s time to start thinking about place settings. To stay true to our theme, I chose to use mini cheese boards to serve as plates. I mean, aren’t they the cutest things you’ve ever laid eyes on?! 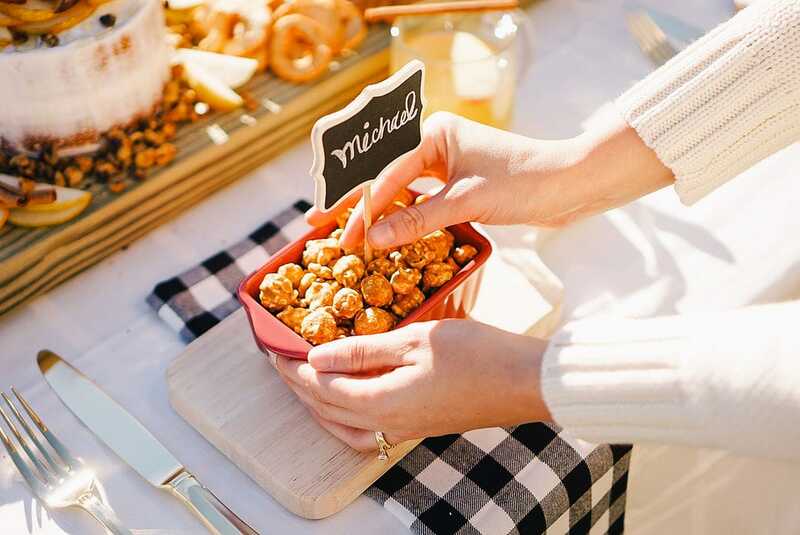 Not only are they adorable, but they also are the perfect size for guests to fill up with sweet treats. Now on to my favorite part…the menu. Let’s be honest, this party revolves around the menu, and truth be told, that is my favorite kind of party! Not only is it the food for the event, but also serves as the centerpiece and decoration. Talk about a two for one! 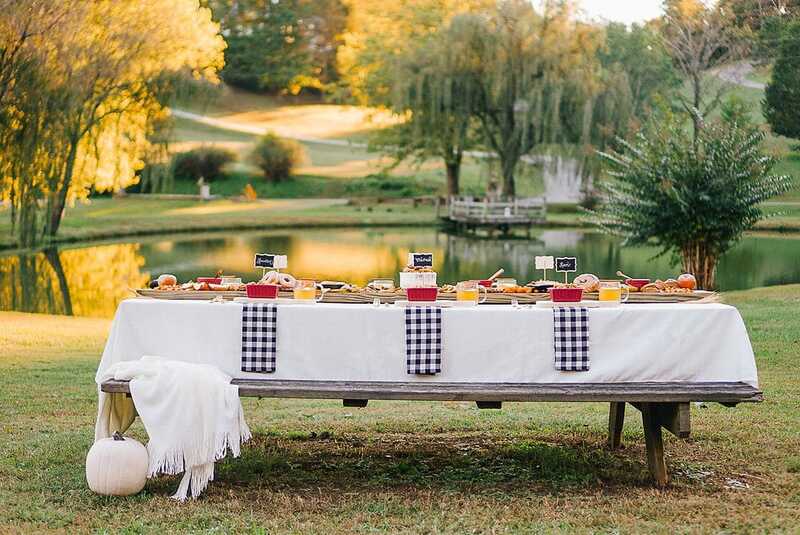 When choosing the menu, I wanted to incorporate every fall treat that I could think of! One of the key parts to a charcuterie board is to have a great mixture of items to choose from. 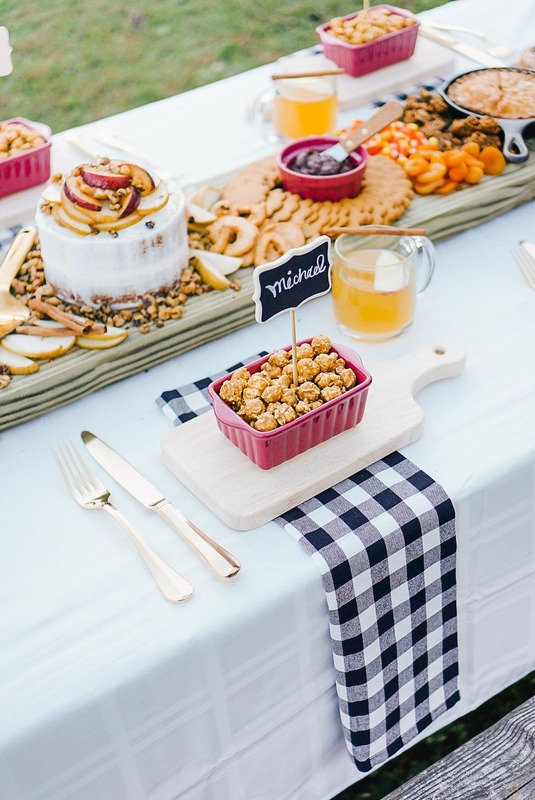 Below are some tips for creating the perfect dessert charcuterie menu! Tip #1: Choose two or three larger items, such as a whole cake and pie, to serve as your main dish. These will be the more filling items on the menu and will serve as the centerpieces for the charcuterie board. Tip #2: Choose about six or seven smaller items, such as granola or candy, to place and fill in between each of the larger items. Tip #3: Choose two or three dips to pair with fruit slices or crackers.